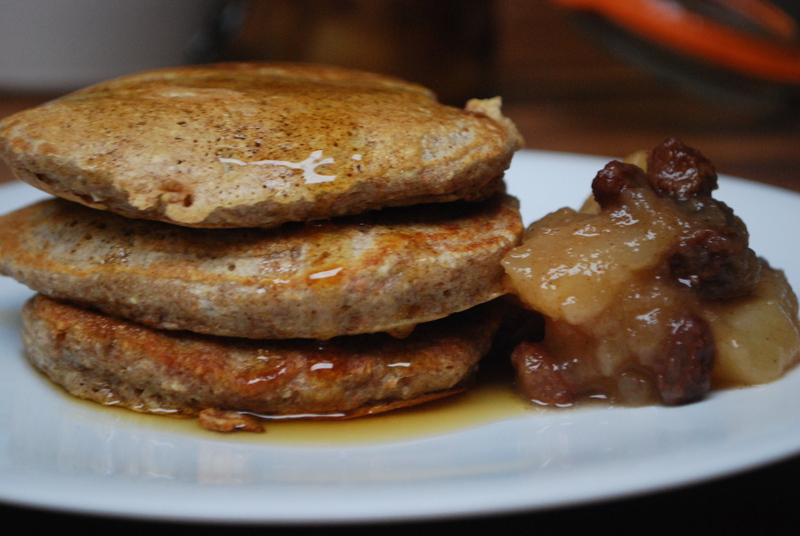 I often make pancakes for my boys on the weekends when I have a bit more time and adding in pear*, oat bran and cinnamon is just another way of sneaking in a touch more goodness (and flavour) without them knowing. The mix of cinnamon and pear works so well and has that autumnal cosy feel about it with the added bonus of making the whole kitchen smell like Christmas! 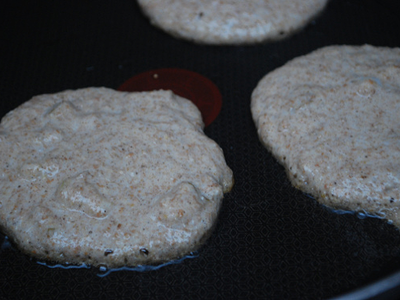 I use spelt flour for its low gluten goodness and add a touch of oat bran to make the pancakes more dense as well as being good for digestion, skin and energy levels. I have used coconut milk simply as I choose to use less dairy products. However milk/water/nut or soya milk would work just as well. * If you don’t have pear these are DELICIOUS just plain and would freeze brilliantly. 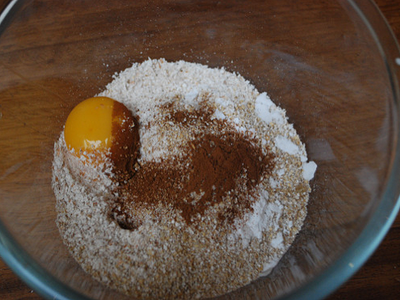 Place the oat bran, spelt flour, bicarbonate of soda and cinnamon in a bowl. Make a well in the centre. Separate the egg yolk and white and add the yolk to the centre of the well. Mix in, working slowly and from the centre outwards, drawing the flour into the centre. 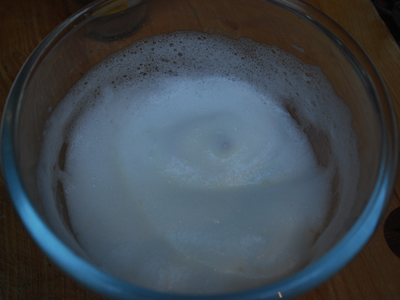 Then, gradually start adding the milk, stirring in a circular motion (this method prevents lumps). 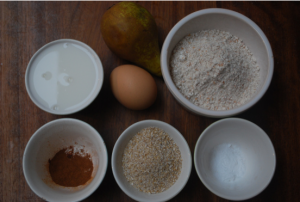 When all mixed in, add your finely cubed or chopped pieces of pear. Next, whisk the egg white. I do this with an electric whisk but it can easily be done with a hand whisk. Whisk until stiff peaks are formed. 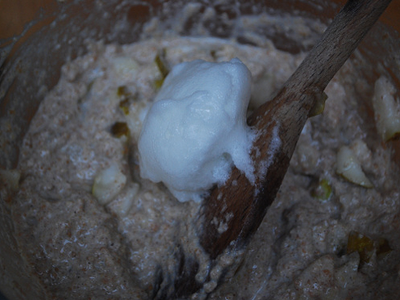 Using a metal spoon, take a spoonful of the egg white and mix roughly into your floury batter. This helps to loosen the mixture to allow the egg whites to blend in more evenly. Add the rest of the egg white and mix quickly and lightly folding the whites through. Heat some coconut oil (butter or rapeseed oil would be lovely too) and when the oil is hot add spoonfuls to the pan. After a minute or so you will see bubbles form in the pancakes. This should mean that they are set enough to flip over with a palette knife or fish slice. Cook on the other side for a minute or so. They should puff up slightly, and feel and look cooked through. 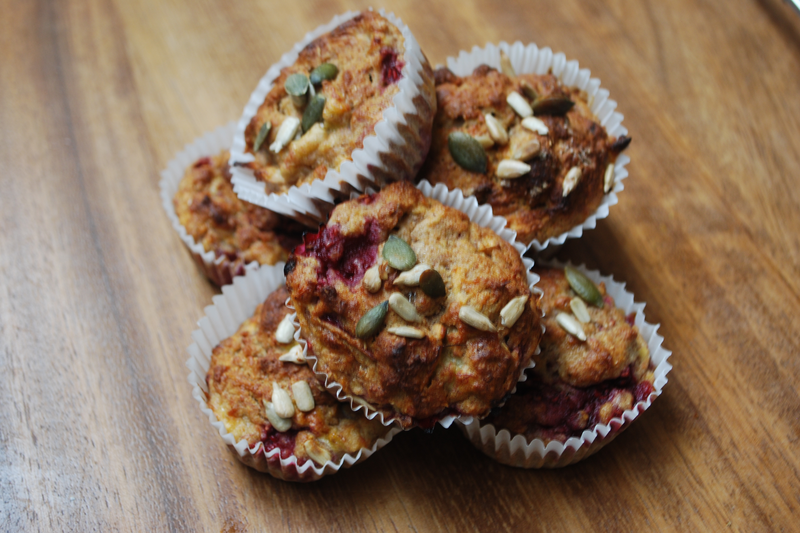 Place on a plate, drizzle with maple syrup and enjoy! Did you know? Cinnamon is a natural sweetener so is brilliant sprinkled in and on everything! 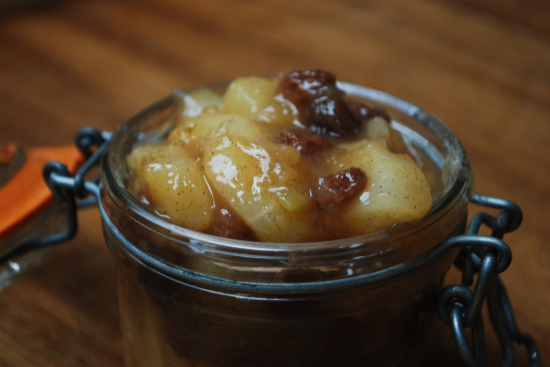 I like to serve them with homemade apple, pear and raisin compote.